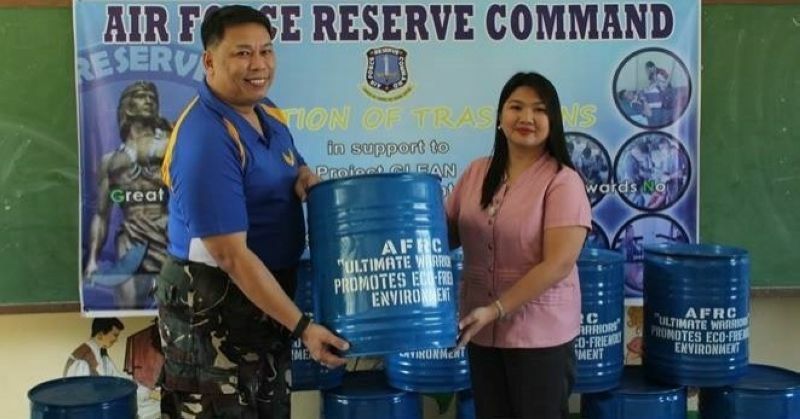 MABALACAT CITY -- The Philippine Air Force Reserve Command (AFRC) recently donated 11 trash bins to complement Project Glean (Great Leaders leading Environmental Awareness towards No Waste Left Behind) of the Mabalacat Technical-Vocational Senior High School (MTVSHS) here. 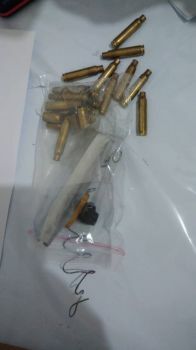 According to AFRC Deputy Commander Col. Samson Perez, the donation was made upon the request of MTVSHS officer-in-charge Maria Theresa Talavera, as the school is a partner and stakeholder in the community-based initiatives of preserving and protecting the environment which is also an advocacy of AFRC. Talavera said noted of the importance of collaborating with other government agencies in taking part on their environmental campaigns with the strategy of leading towards no waste left behind. “The donation of trash bins is a big help to the students and the faculty of MTVSHS in the pursuit of their environmental protection campaigns and advocacies and we appreciate the efforts of the Philippine Air Force through this noble endeavour,” she said. 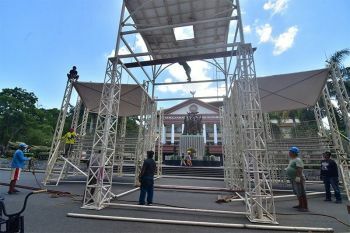 For his part, Perez said the role of the Armed Forces of the Philippines and Philippine Air Force in addressing waste problems in the communities within the area of responsibility by truly supporting environmental projects of the schools.